The reverberatory furnace is a type of industrial furnaces used mainly for the manufacture of cast iron. This material is subjected to the melting process during its production cycle, and the process happens thanks to the reverberatory furnace. Cast iron is a really useful material for a lot of different purposes: from cooking to carpentry through hydraulics. With the reverberatory furnace you can remove the carbonium and all other castaway substances, obtaining a pure and useful material for various contexts. The reverberatory furnace works thanks to the acting of air and fuel gas, that enter through two different channel and during this travel heat through, thanks to a little refractory brick wall. When air and gas meet inside the chamber they put on a fire that touches a metallic charge, that reaches 1800°C. The fumes made by this match are then diverted toward another section, in which they heat up the refractory bricks that start the cycle again. 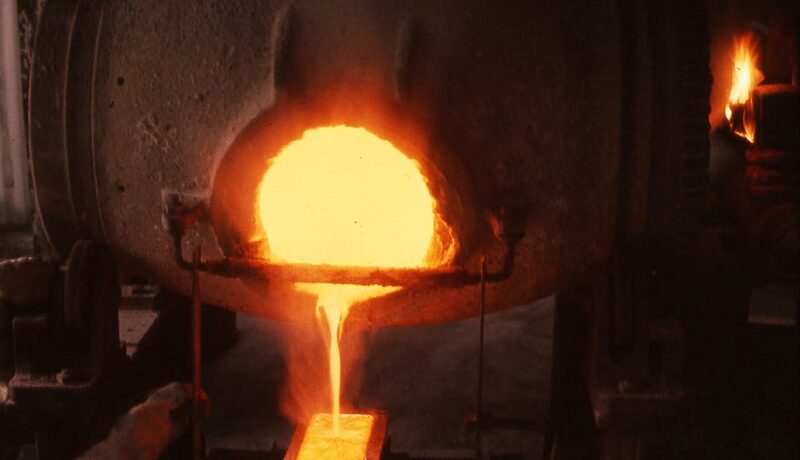 The work of the heat of the reverberatory furnace can remove the carbonium in the element, transforming the cast iron in steel. To help this process, the elements on the bottom of the furnace, sand and oxides, help up to remove the carbonium and purify the atmosphere. Besides, inside the main chamber the cast iron is constantly stirred with a pole, helping the sediment of the castaway substances. Cast iron is a useful material, but it is also a medium phase of the process of creation of steel, so the reverberatory furnace is commonly used even for the work on steel. Campana Forni uses the reverberatory furnace not only to work on cast iron, but also for aluminium. His furnaces are designed following efficiency and quality criterions. The realization happens thanks to the expertise of out technicians, that will follow you even after the purchase thanks to our assistance service. Our furnaces are realized following the Circular 4E of 03/30/2017, that allows to obtain the incentives of digitalization for the business.